Have you ever wondered how barbecue joints make pulled pork taste so delicious? There are a few great BBQ restaurants by my house and it used to always amaze me how good there food was. Even more impressive to me was the consistency. It didn’t matter when you went the smoked pulled pork always tasted the same! When I first got my smoker my goal was to master pulled pork. If the BBQ pit masters could do it consistently, I didn’t see any reason why I couldn’t either. A lot of time has passed since I first purchased a smoker, and I’ve made a lot of pulled pork since then. 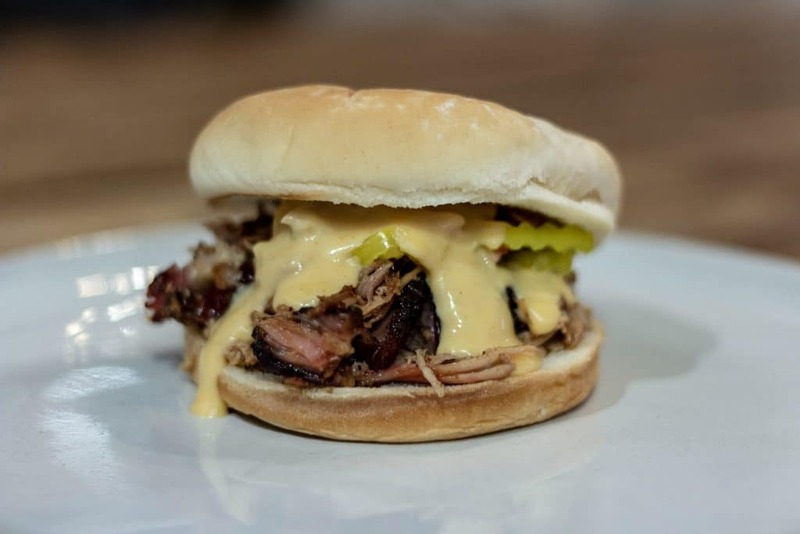 After a lot of trial and error I’ve learned exactly what it takes to make the best smoked pulled pork, and in this post I’m going to share my process so you can make perfect pulled pork too. There are a few different places you can get a pork shoulder. You’re looking for a bone in pork shoulder, but if you can’t find one locally, a boneless pork shoulder will work ok too. The bone adds some moisture/fat/flavor to the meat when it’s cooked low and slow. Try and find a pork shoulder that’s in the 6-8 pound range. For my family of three that’s more than enough meat for dinner, and a weeks’ worth of salads for my wife and I. A good rule of thumb is to cook 1lb of meat per person. Brining will add some additional flavor to the meat, but it’s hard for the brine to work its way deep into a thick cut of meat like pork shoulder. A better option would be to inject your pork shoulder. Injecting a pork shoulder will give you some great flavor, and help keep the meat from drying out. An added bonus is that brining takes hours, and you can inject a pork shoulder right before you cook. The rub is the combination of spices and/or herbs you add to the surface of the meat prior to cooking. Pork shoulder with a generous amount of rub on it. 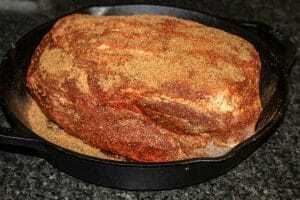 One of the keys to smoking pulled pork is the spice blend, or “rub” that you put on the surface of the meat. I have developed a rub recipe that is perfect for Pulled Pork and creates a mouthwatering bark every time. This recipe will interact with the meat during the cook to help break down proteins and tenderize the pork shoulder. The rub also helps produce a bark around the outside of the pork shoulder that is packed full of awesome flavor. 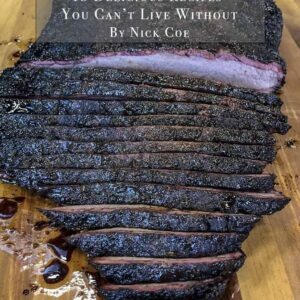 I’ve spent a lot of time developing this rub recipe, and it’s one of the few things I sell on Smoked Meat Sunday to help support the day to day operations of this website. Click here to learn more about the rub recipe. This rub really is the key to my pulled pork recipe! In addition to the rub, you’ll want to incorporate a binding agent that will hold the rub on the meat. As with most things smoked meat/bbq, there are a lot of beliefs when it comes to binding agents. You can apply the binding agent with your hands, and it’s ok to get dirty… but if you wear some latex gloves, you won’t waste as much of the binding agent, or the rub. Apply the binding agent with your hands, rubbing the entire surface of the meat. After the binding agent is applied, add your rub. Sprinkle just enough on the meat to cover the entire surface. After adding the rub to one side, flip the meat and repeat the process of adding the binding agent and the rub. Once the rub has been added, it is time to start cooking! I cook pork shoulders at 225 or 250 degrees. At 250 the pork shoulder will cook a little faster, but you’ll sacrifice moisture. Once your smoker is up to temp, open the lid on your smoker, and put the meat on the grate. Life will be easier for you if you purchase a grill Rack. If you have a grill rack, place your meat on that, and then place the rack inside the smoker. Sometimes I’ll smoke my pork shoulders in a large cast iron skillet. That’s a good alternative to a grill rack. Using the rack or skillet will make it easier for you to remove the meat at the end of the cook. In fact, if you have a grill rack you can prep your shoulder on the rack, inside of a foil-lined pan. This makes your prep work cleanup very easy! Once the pork shoulder is in the smoker, it’s a waiting game. For the first five hours of the cook I don’t open the lid on my smoker. I will check the level of my pellets (I use a Traeger), but otherwise, I leave the smoker alone! After five hours I’ll open the lid and spritz the pork shoulder with apple juice every hour. After about 8 hours of smoking I’ll check the internal temp with my Thermapen. At this point the internal temperature of the pork shoulder should be close to 160 degrees. If a good bark has formed I’ll wrap the pork shoulder with butcher paper, and continue to let it cook. This will help the meat retain moisture, and with pulled pork, it’s not a bad option. Wrapping the meat at this point will also speed up the cook considerably! At around 160 degrees big pieces of meat like pork shoulder go through what is called a stall. If you don’t wrap, the meat could stay at this temp for hours! The butcher paper wrap helps speed up the process of the stall, while keeping moisture in the meat, and letting air come in to add to the bark. When the internal temp of the pork shoulder hits 200+ you’re not done. Pull the meat off the grill, wrap it in foil over the butcher paper, and put it in a cooler with a bunch of towels. The best smoked meats rest. Skipping this step is not optional!! I like my pork shoulders to rest a minimum of one hour, but if you can stretch it to two hours, you’ll have an even better tasting cook. I’ve let pork shoulders rest up to five hours using this method and the meat was still piping hot when I pulled it out of the cooler to shred it. After the rest, it’s time to unwrap the meat, shred it, and eat! I serve my pulled pork with buns, cole slaw, hot peppers, barbecue sauce, and cheese sauce. You’ve successfully made your first pork shoulder and hopefully, you’ve learned a few things about your smoker along the way! In this post, we talked about an easy dinner idea my family loves; pulled pork! Porcelain Coated Grilling Rack – This rack makes it easy to transport food from the kitchen to the smoker, and back again. Meat Claws – Sometimes the most difficult part of cooking a pork shoulder is shredding it. These claws change that. Grill Gloves – Because sometimes you want some dexterity when you reach in the smoker. I understand how intimidating it can be to smoke a big cut of meat. 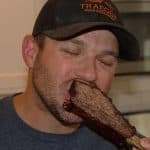 I’ve spent a lot of time with my smoker, and I’ve failed quite a few times too! 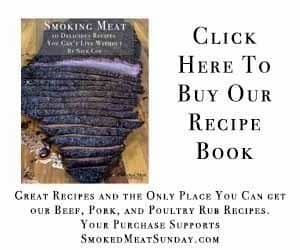 Hopefully, you found this guide to smoking pulled pork helpful and will ease your concerns about cooking something low and slow on your pellet grill. Do you have questions about cooking your first pork shoulder? Send me an email or connect with me on Instagram! I love helping people make great food on their smoker! Looking for another pork shoulder recipe? Check out this one. Looking for a simple pulled pork recipe? I’ve got you covered! This is a step by step recipe to make simple pulled pork. Smoke Pork Shoulder at 225 degrees, after about 6-8 hours the internal temp should hit 160. When the internal temp hits 160 wrap the pork shoulder with butcher paper, and continue smoking. Check the internal temperature every hour, and when the internal temp hits 200+, pull it from the smoker. Wrap the pork shoulder with foil, and put in a cooler to rest. I like to let my pork shoulders rest for a minimum of two hours, up to five. Shred and eat! Serve on a bun with coleslaw, barbecue sauce, hot peppers, and… if you really want to get crazy, cheese sauce! Can you cook things like apple pie and cookies on a smoker? Yes. If you can cook it in an oven, you can cook it in a smoker! ?